“You see that faith was active along with his works, and faith was completed by his works; and the Scripture was fulfilled that says, ‘Abraham believed God and it was counted to him as righteousness’” (James 2:22–23). One of the central issues of the Protestant Reformation was the issue of justification. Luther, Calvin, and all of the other reformers were concerned with the question: “How is a person declared righteous before the judgment seat of God?” With the apostles, the Reformers asserted that a person is declared righteous, that is, a person is justified, by faith alone apart from any of his own good works. This teaching is clear in the writings of the apostle Paul (see Gal. 2:15–16). However, many have asserted that James, the brother of our Lord, would include our good works in our justification. The passage most often used to support this contention is James 2:14–26. At first glance, this passage does seem to raise issues for the Protestant understanding of justification. Yet a second glance shows us that James and Paul are talking about two entirely different things. 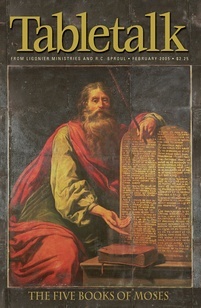 Paul uses the word justification to refer to the legal declaration that God grants to us by faith on account of the imputed righteousness of Christ. But James uses the same word to mean “show forth.” Paul’s main concern is to show that faith alone sets us right with God. James defines the precise kind of faith that does this. Once this is understood, it is easy to see that James is most definitely not contradicting Paul in places like verse 24. He is simply saying that only a person with a living faith demonstrated by good works can be justified and not that these good works can earn merit for us. Verses 22 and 23 are a bit more difficult. Verse 22 speaks of faith being completed by works. This might seem a bit strange to us until we consider that faith, like all other Christian virtues, matures over our lifetimes. When we first believe, our faith is immature, and sometimes it is hard to trust God for great things. Nevertheless, this immature faith is real faith, and by it God declares us righteous even before it can produce any tangible evidence of itself in good works. When we first believe our faith is “incomplete” in the sense that it is small and relatively undeveloped. But even though a small faith is enough to do great things (Matt. 17:20), God does not want our faith to remain weak. Oftentimes He causes our faith to grow by vindicating our trust in Him and by bringing trials to create perseverance in us. Look at your life and find times when trust in God has been vindicated. Ask Him to use these experiences to increase your faith.